Democratic Town Committees are volunteer-run organizations that help to mobilize democrats on a local level—which is essential to grassroots organizing. Each town in MA has its own Democratic Town Committee and they are all governed by a set of by-laws put forth by the State of Massachusetts. 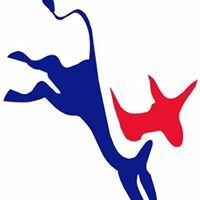 You must be a resident of Barnstable to JOIN the Barnstable Democratic Town Committee as a voting member or associate member—but we welcome all residents of Cape Cod to attend our meetings and participate in on our discussions the first Wednesday of each month at 7:00pm (location sometimes varies, please check Events for each month's location). If you would like to join the democratic town committee of your hometown, you can find out who the chair of your local democratic town committee is here. We hope that you'll stand with us for a strong democracy that fosters equality for all citizens. Remember, the duty of American citizenship extends beyond casting a vote every 4 years, it is also your duty to maintain the democracy. As democracy is a government for the people, by the people. We join together as an organization to find, elect, and support candidates who will work toward a more fair and equitable society, who will seek to open doors of opportunity for all without regard to race, ethnicity, age, economic circumstance, religious belief, sexual orientation or gender identity. WE BELIEVE WE STAND STRONGER TOGETHER. As Democrats, we stand for equal rights and against discrimination whether racial, ethnic, gender identity, sexual orientation, religious, disability or age. We stand for offering a hand up to the young, the old, the disabled, to people living in poverty, to people facing discrimination and believe we all benefit when each of us has the opportunity to develop our individual gifts and talents. health care as a human right and educational opportunities for all. protection of the environment and efforts to achieve renewable energy. an America that celebrates our immigrant past and future and believe our diversity makes us culturally richer and economically stronger. A strong organization cannot function without strong and effective leadership. Please meet the elected officials of the Barnstable Democratic Town Committee's board. These members are the core of our operation. Married with four grown children, Mary is retired and has lived in Barnstable for five years. She has always been interested in politics and started working with the BDTC in the “Elizabeth Warren days”. Mary became a Committee member in 2013 and was voted Treasurer in 2015. A very passionate Democrat since before he was able to vote, Marc volunteered with the Elizabeth Warren campaign, and Vermont Democrats during the 2012 cycle. After college he became a member of the committee and eventually the current secretary. Marc has been a resident of Barnstable for over 15 years. We totall respect your privacy and will never sell your information to a 3rd party.